When most people think about the benefits of joining the US Army, they reflect on the structure, discipline, world travel and benefits. Beyond enlistment incentives, travel perks and bonuses, the US Army provides a great opportunity to try different careers while defending your country. When it comes to organizational structure, the military distinguishes between enlisted and officer careers. Enlisted personnel may support or participate in combat and other military operations, such as humanitarian or disaster relief. Whereas Officers act in a leadership capacity. They may plan, and lead troops and activities in military operations. In addition, they can operate and command aircraft, ships, or armored vehicle. 1. Music – From entry level positions in the Army band to a officer level positions as a conductor, you can inspire audiences all over the world while making impact with music.Â The Army music program, with over 25 different bands, has several job openings and different instruments for you to choose from. 2. Law — Through the Army Jag Corps program, a government organization that operates like a court system, you’ll work as a Judge Advocate. Judge Advocates’ are licensed attorneys qualified to represent the Army and Army Soldiers in military legal matters. Judge Advocates often represent Soldiers during courts-martial, but may include a variety of legal disciplines including civil litigation, tort claims, labor law, and international law. The program is highly selective and competitive and requires extensive training. As a Judge Advocates you’ll have the option of serving as full-time legal practitioners on active duty, or as members of the U.S. Army Reserve. 3. Health — The Army provides over 90 areas of concentration for students pursuing careers in health care. They also have a number of graduate health care programs including clinical psychology, dental study, occupation and physical therapy, nutrition and veterinary medicine. Here is a list of the current emergency and medical careers available. 4-5. Science, Technology, Engineering and Math — With the increase focused on STEM across many fields including communications and intelligence, the opportunities are endless. Sample Officer positions includes a Signal Officer, responsible for planning and executing all aspects of communication on a mission and Warrant Officer responsible for managing and maintaining many of the Army’s combat systems, vehicles and networks. 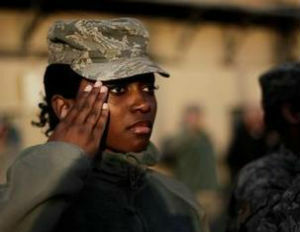 To learn more about the career options available in the US army, visit goarmy.com.